Another great addition to my knife collection. 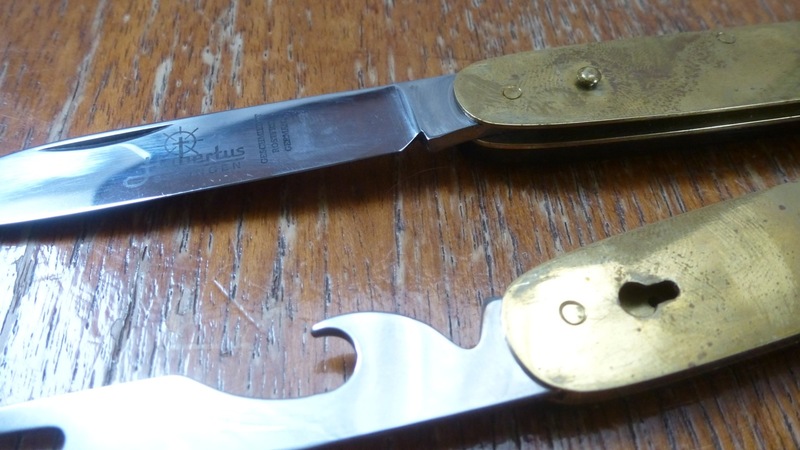 The Hubertus pocket knife has no special product name but I would name it Connoisseur or Gentleman knife. It got all the essencial tools to “survive”. 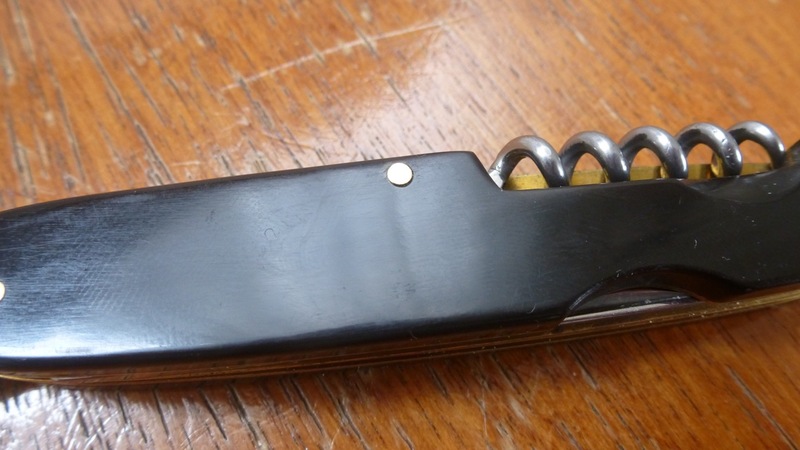 A knife blade, a fork, a corkscrew and a cap opener. No need for a tin opener – who want´s to eat out of tin/cans, anyway. 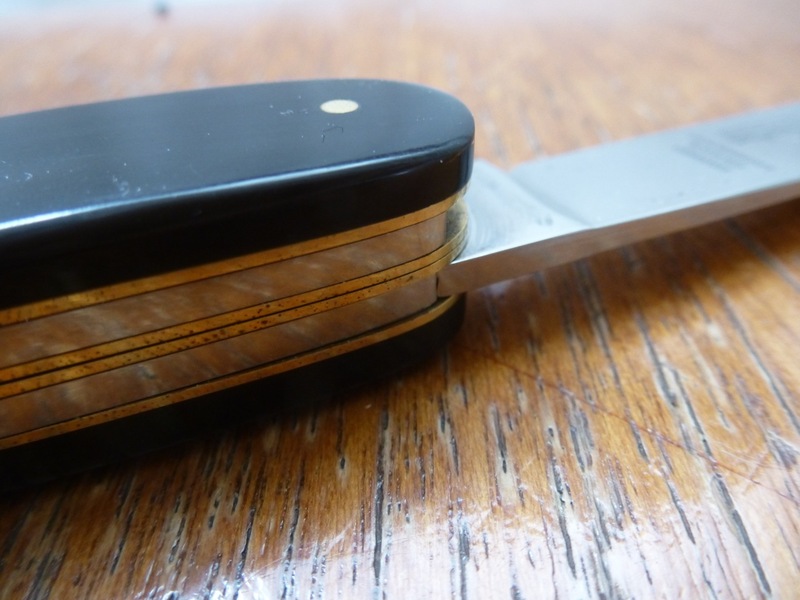 You can argue that “who needs a fork” (use the tip of the blade) or “who needs a cap opener” us the back of the blade but that is why it´s the gentleman knife. It got style, I hope its owners too. 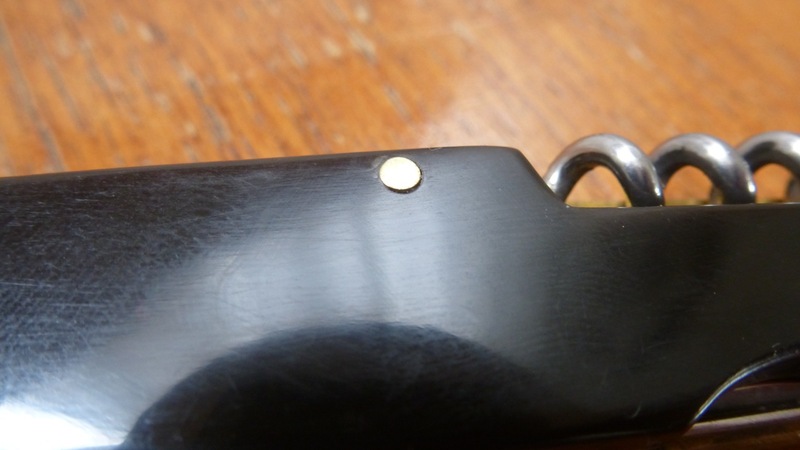 The locking mechanism of both parts is very clever and well/solid designed. By opening the fork you unlock both parts. Very nice in design, the brass parts look great with the steel and the black bakelit. 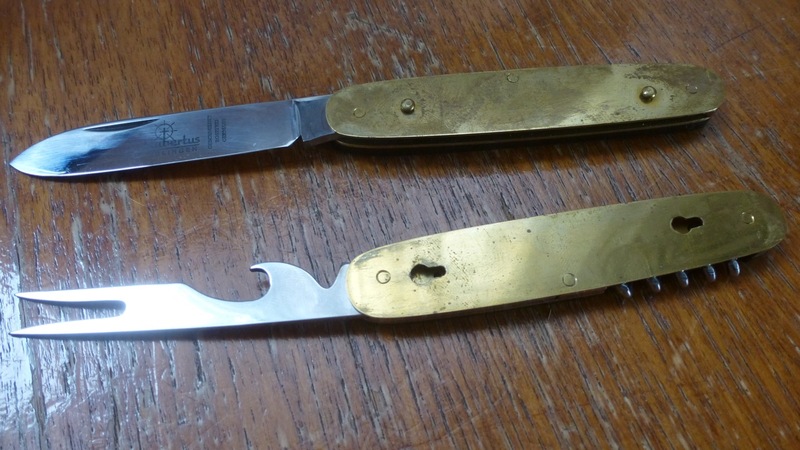 There is are also antler or wooden versions of this knife. Thanks David for this nice gift – travel save! 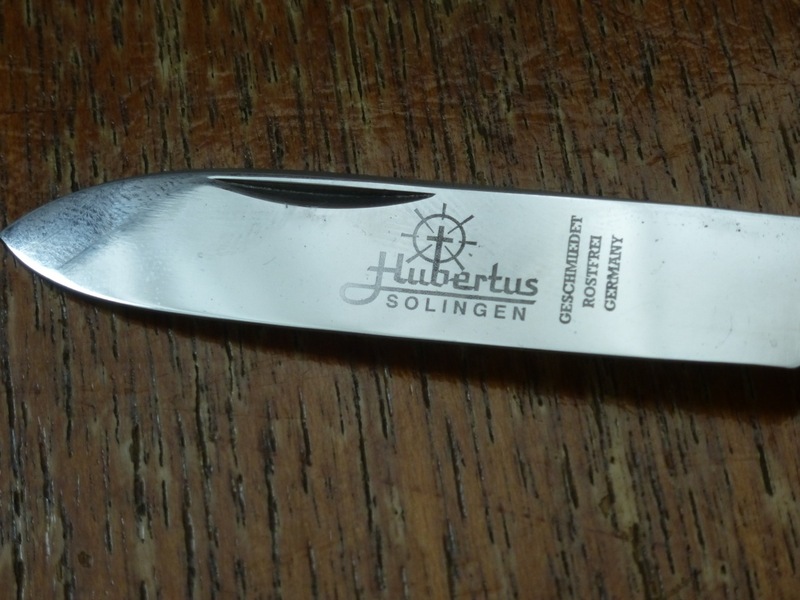 Check the Hubertus Solingen knife page. 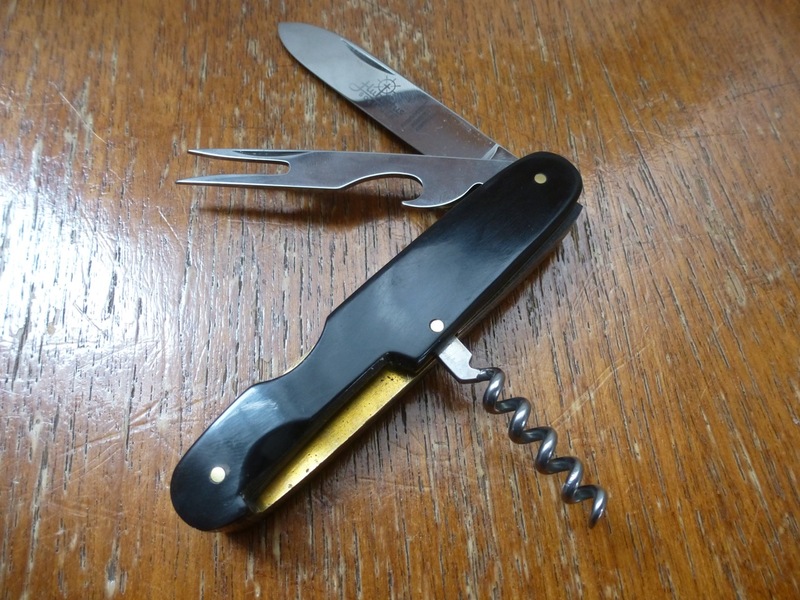 This entry was posted in Food, Outdoors, Style and tagged bestecktaschenmesser, bread, cap opener, cheese, corkscrew, folding knife, fork, gentleman, gift, hubertus, Pocket Knife, present, style, wine on 17. May 2013 by Alex. I bought a very similar knife today. 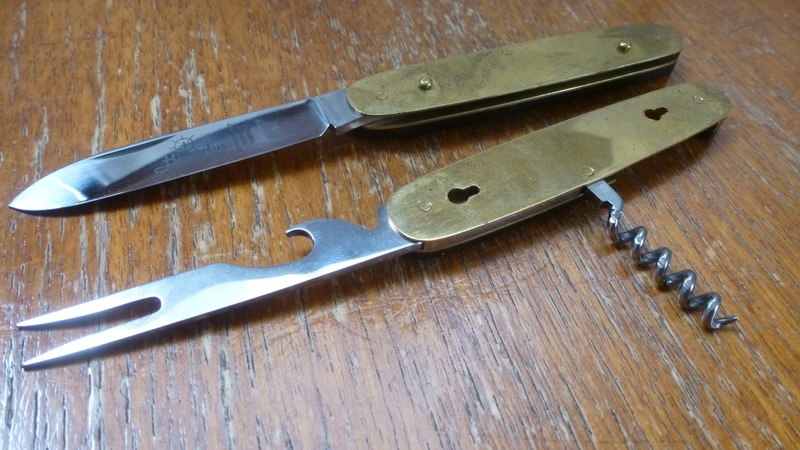 I call this kind of knife a picnic knife… but gentlemen go on picnics too. Curious as to the value of this knife because I got mine for a song! Thanks for your response. From what I found online the knife retails at about $70. What a deal I got today!! 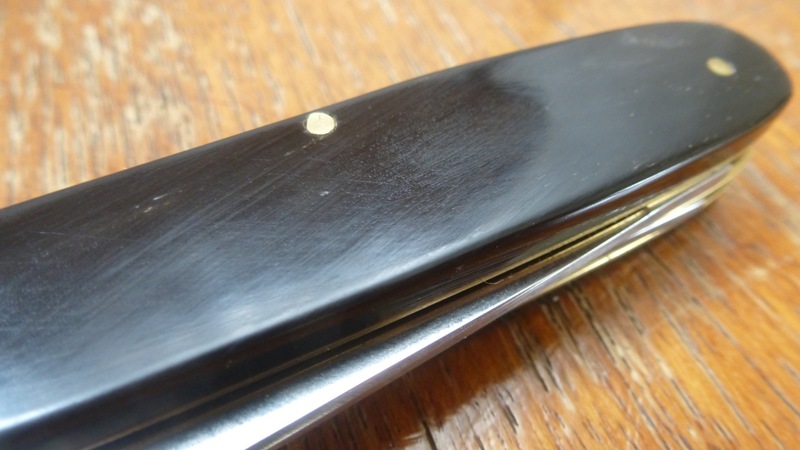 So nice to find a well-crafted pocket knife. 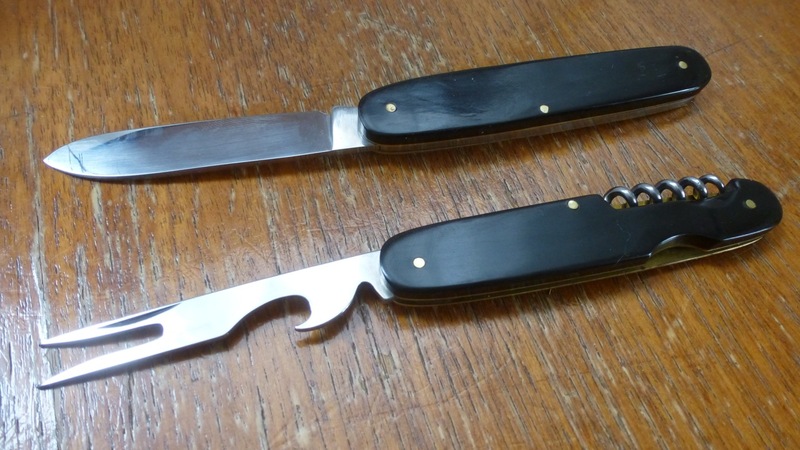 Yes the Hubertus Knifes starts to sell for about 50 Euro / 70 USD, depending which material you want for the handles. Best to find “your” knife which is also reasonable priced.